Our attention to detail and high standard of workmanship is second to none and the reason our clients keep coming back. We endeavour to make the installation process as hassle free as possible for building managers, tenants and owners. 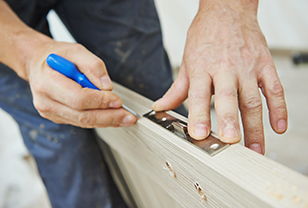 Being a fully licensed Fire Door certififer we can install and certify our work on the spot.